As many of you know I love to eat, and I’m a big time fan of snacks. The key to maintaining my weight and staying healthy while getting plenty to eat is finding foods that are relatively low in calories, yet high in nutrition. One of these great snack foods is the pomegranate. 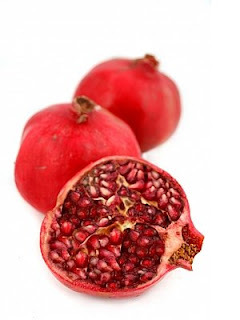 The pomegranate is a great snack primarily for two reasons. One, it takes some time to consume the edible part which keeps you from stuffing yourself with excessive calories. Secondly, it’s packed with nutrients. If you don’t already have this fruit in your fat burning and weight loss arsenal, make sure you make room for it. Your gut will thank you later.